Put it on the calendar – Mark when you are going to write personally, as a group or as a church on the calendar . We don’t naturally write letters or correspond by email these days so we need to book it in. Plan to do it, plan to do it regularly and then act upon those plans. Don’t spread yourself too thinly. Think about how many missionaries you can feasibly maintain. A church can cover more than an individual but in all situations keep it sustainable so that it keeps on happening and doesn’t become an overwhelming exercise. Look after your own spiritual health. If you are spiritually dry or empty you will have nothing to share. Keep yourself spiritually fit so that you have plenty to give. Friends on the mission field. Used with permission. Talk with them directly by phone or by Skype. Donate frequent flyer points to them, if this is appropriate for their situation. This might be something you can do for them while they are on home assignment or help them to get away to somewhere other than their place of work on some annual leave while they are on location. Purchase an iTunes gift card for them. You can either mail it to them or just email the activation code to them. Make sure this will actually be of use before you do it. Make a movie of friends, family, their church family, familiar locations and so on for them and send it or put it on Vimeo or Youtube. There are secure ways of uploading movies onto the Internet but be very careful if you have a missionary in a secure location. Before sending anything, check with your missionary. Sometimes there are restrictions on sizes of parcels that can be received and it can be an expensive exercise for the missionary to retrieve it from the local authorities if they can retrieve it at all, which rather takes the edge off a gift. Communicate and work with your missionary on the best way to get things through to them. In some situations it may be better to send nothing. Clear communication and clear guidelines make for a better experience all round. Organise them an Amazon gift voucher. All electronic and it gives them the joy of choosing. Check first to see if that is going to be useful and accessible. Organise a magazine or journal subscription for them. Again, check with your missionary before you do this for security, content, postal and/or email/Internet access issues. (Some missionaries are only able to receive very short emails without attachments so check, check, check.) But if it will work, go for it. Get in touch with their family back at home and find out how they are doing. If they are Christians pray with them and if not, pray for them. And then report back encouraging news. If there is something you can do to help a missionary’s family members back at home – mow the lawn for their elderly parents for example – do this. What a gift to a missionary. If there are children, remember them. Stickers, colouring pages, coloured craft paper...these sorts of things are easily popped into letters. If their location and your budget will allow you to send more, do so. Send a care package especially for the children. * Be linked to a missionary and make sure they visit your church when they are on home assignment. Make their visit an event – interviews, a meal together...hands on. It’s your event...organise it well. And be generous with them as they visit you. Make it an opportunity to care for them as they serve your congregation. * Take ten minutes from a service four times a year (March – before Easter, July, September and November – before Christmas), hand out A5 paper and pens and write short letters. In church! It is amazing how much you can write in ten short minutes. On Monday morning go to the post office and send off your parcel of encouragement. * Publish fresh prayer points in the church newsletter every month. If you have nothing specific that is new and current then work in some of the general prayer points. What is important is to provide people with new, regular prayer points to keep them praying. * Pray through those prayer points from the front of the church – in its own dedicated spot during the service or during the service prayer time. * When a prayer letter arrives from a missionary, don’t just stick one copy up on the pin-up board. Photocopy it and hand it out with the newsletter for everyone. 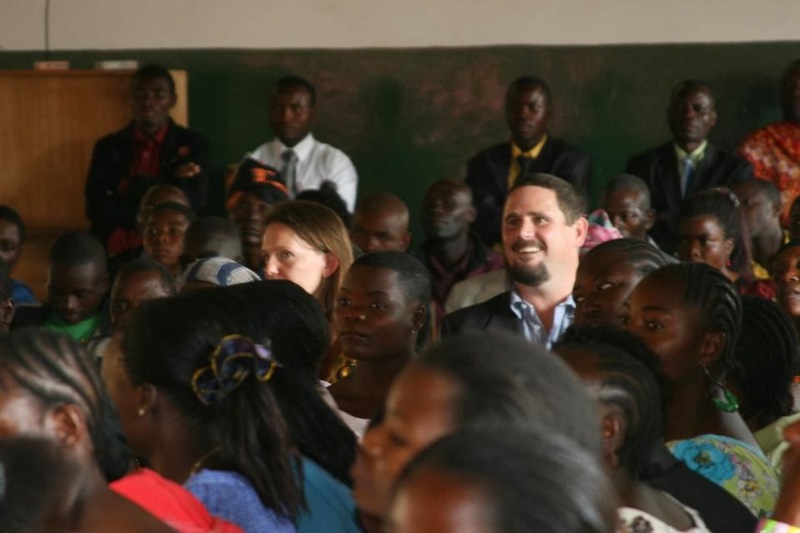 * Midway through a missionary’s tour, hold an event at your church to refresh everyone’s memory. Have a national meal, give news, pray, maybe have a Skype link up if you can set it up or even just a live email exchange and spend ten minutes writing letters – or at the very least, send around a card that everyone can sign. * During each of the school holidays, run a kids’ mission session with the Sunday School children. Tell them what the missionary has been up to lately and show photos if some are available, spend some time learning about the country (and try some food from that location if you can), pray for the missionary, write letters and draw pictures. This works especially well if you can link your Sunday School children up with a missionary family. The children may find this a bit abstract to begin with but if it is done every holidays, and if the missionaries make contact back with the children, a relationship soon forms and it becomes quite a natural thing to do. * Take up a “kids’ collection” during Sunday School and direct it to a missionary. * Have the missionary’s prayer card on the table each week – a visual reminder. * During the prayer time share prayer points for the missionary and make sure they are prayed for each week, alongside the members of your group. * Four times a year (or once a month even!!) write a letter – individual ten minute letters on A5 paper or pass around an airletter during the study for people to add a few lines, pass around a computer and add to an email or write a short note in a card. * Take up a “spare change” collection (this can add up to quite a sum of money over the course of a year) and save it to give to your missionary for when they are on home assignment for a few luxuries – or direct it to their missionary support. * Explain your connection or how you come to be writing to them. For all subsequent letters, assume that they then know you. * News from your church; local, state and federal news; the weather, sports news, political news, the price of things (petrol, housing, bananas...anything you think they might be interested in), new buildings going up in town – the sorts of things of daily life at home. * Words of encouragement – how you are specifically encouraged by their ministry, what you are reading in the Bible at the moment and how it is encouraging you, a Bible verse that will encourage them, the fact that you have prayed for them. * Unless you have a very close, mutually prayerful relationship, don’t include a list of your own personal woes. Letters to missionaries are for their encouragement. They can’t help you in your difficulties and they may feel frustrated being so far away and unable to assist, which won’t help them to do their work. Unburden closer to home and send words that build up and encourage offshore. * Bible verses or reference to the Bible. * The name of the organisation they work for or the key people who work in it – anything that might be found in an Internet search. It is good to be writing to you again. I wanted to let you know that I have been thinking of you every day. And the people we meet with every week also keep you in their thoughts. I was speaking to state head of your company and he said that your work was going very well at every level, that you have many opportunities to do your work and that you feel well supported by the one we love the best. That is wonderful news. You need to keep it very general. Check it carefully – and get someone else to check it – before you send it because it is easy to slip up. In some locations it is vital to be this cautious. Check on the website of the relevant missionary organization for your missionary for further advice, including advice specific to their organisation. Last weekend I ran a small workshop on how to care for missionaries over the long haul. That is, how to pray and care for them for their WHOLE tour of duty and not just when they are fresh out from home assignment, about to return home or at Christmas time. What follows in this and four more posts is the amalgamation of the words I said and the words I handed out on paper. And please know that I was convicted by my own workshop! I am as erratic at this as the next person. But if you are interested in loving and caring for missionaries, I hope these posts will be helpful. Who are the people easiest to keep in our prayers? Those in our immediate vicinity, of course. So that makes praying for missionaries quite tricky for many people, because our missionaries are only in our midst for a few months every three or so years. And sadly, most missionaries will tell you that the longer they are away from home, the less they hear from people at home. There are is flurry of contact immediately following home assignment but as the months and years wear on the contact, except from a faithful few, wears thin. If we pray best for the people with whom we are in closest relationship, then the trick to keeping our missionaries in our prayers is to maintain a close relationship with them – which means regular, faithful, disciplined contact to keep the relationship alive and present. What follows (in this and four more posts) is a variety of ways to keep in touch and to keep praying on a regular basis. * Opportunities for them to share the gospel, courage to do so and wisdom in doing so. * Personal spiritual health – daily prayer and daily personal Bible reading that is encouraging and refreshing. * Safety and for good health - physical and psychological. * Family life - for a strong marriage and for their children - or for dealing with singleness on the field. And pray for the missionary’s family left back at home. * That they won’t be homesick. While not specific, time spent praying these things for missionaries will be time well spent for the Kingdom. Today it's Antonio Vivaldi's birthday. And so to celebrate, a musical treat. Not so well known as "The Four Seasons" or his "Gloria", this is his "Concerto a due cori con violino discordato" (RV 583) and it is sublime. If you are stretched for time, go the 5:20 mark and just listen to the Andante. Turn it up and have tissues ready...it includes a minute of possibly the most beautiful music ever composed. You will know when you get to the right spot. 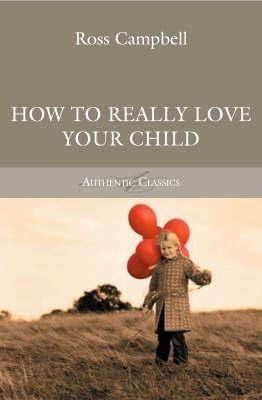 Not that we are having any particular issues at the moment, all thanks be to God, but I just wanted to remind myself of the three things that Ross Campbell, in How to Really Love your Child, says makes for happy children, as the year picks up veritable speed. Lots of eye contact - happy eyes, not just the angry eyes. Lots of physical contact - appropriate, of course. Lots of focussed attention - not one eye on the child and one eye on the slow cooker/computer/book/TO DO list/________(fill in the blank). The year is certainly picking up pace, but we are just at the end of a lovely and timely long weekend. It has been good to remember these things.